The global renown of billionaire Prince Alwaleed bin Talal made his involuntary detention in early November at Riyadh’s Ritz-Carlton hotel one of the biggest single shocks of Saudi Arabia’s anti-corruption crackdown. The campaign, led by powerful Crown Prince Mohammed bin Salman, swept up nearly 400 members of the kingdom’s political and business elite. Authorities estimated financial settlements from the accused would net about $100 billion. In late January, a BBC broadcast featured a Canadian businessman who said he had spoken with the prince via video link and that the prince appeared to be sitting in jail rather than at the five-star hotel. Saudi Arabia’s authorities had converted the hotel into a luxury prison where hundreds of the kingdom’s wealthiest figures were being held. Reuters reached out to Saudi authorities for comment; they denied the allegations. 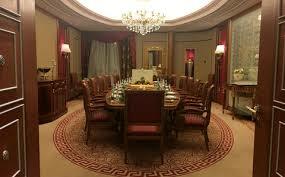 Then, they invited us to see Prince Alwaleed at the Ritz for ourselves. The interview was arranged within hours. At 1:00 a.m. on Jan. 27, a government car picked me up and drove me through the hotel’s massive front gates. It was the first time I had seen them open in nearly three months. After a brief wait and a tour of the hotel’s empty facilities, I was escorted to an ornate sixth-floor suite where Prince Alwaleed was waiting. Officials told me not to film outside the suite or catch any of them on camera. No conditions were placed on the interview itself. The prince promptly took control, ushering me into the office and enthusiastically granting permission to film. The officials exited the room, leaving only the two of us throughout our 25-minute discussion. Prince Alwaleed said he had been treated well during his time at the Ritz. He took a defiant stance on the accusations of corruption, saying that he was innocent and that he was certain he would emerge from the process in full control of his assets and his company, Kingdom Holding. 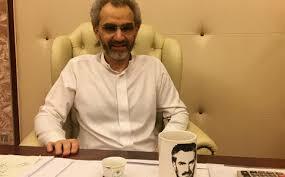 It is impossible to know if Prince Alwaleed was truly free to speak his mind, given that he was still in detention as part of an extrajudicial legal process. He appeared thin, but he was confident and upbeat, even making jokes as he took me on a tour of the suite. He smiled broadly and insisted that we take a photo together. I recorded our exchange on my iPhone, propped up by a golden tissue box and a water bottle on his desk. Hours later, the prince was released.